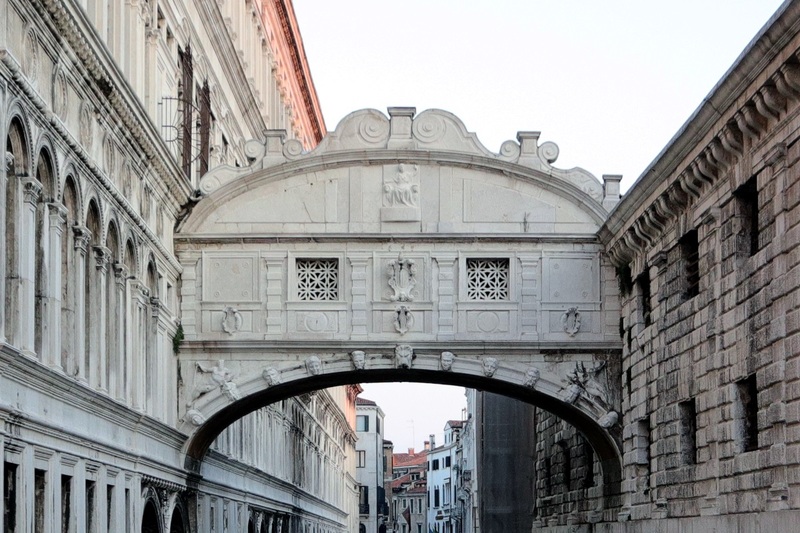 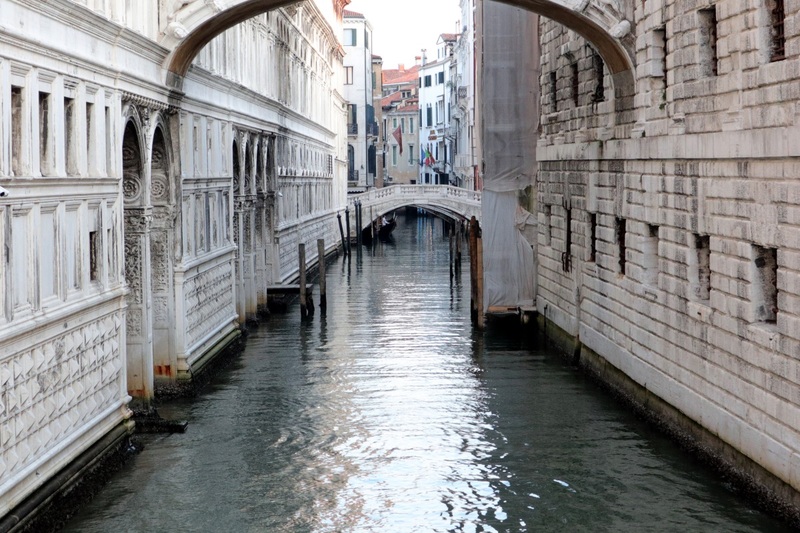 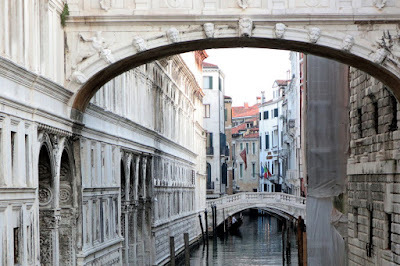 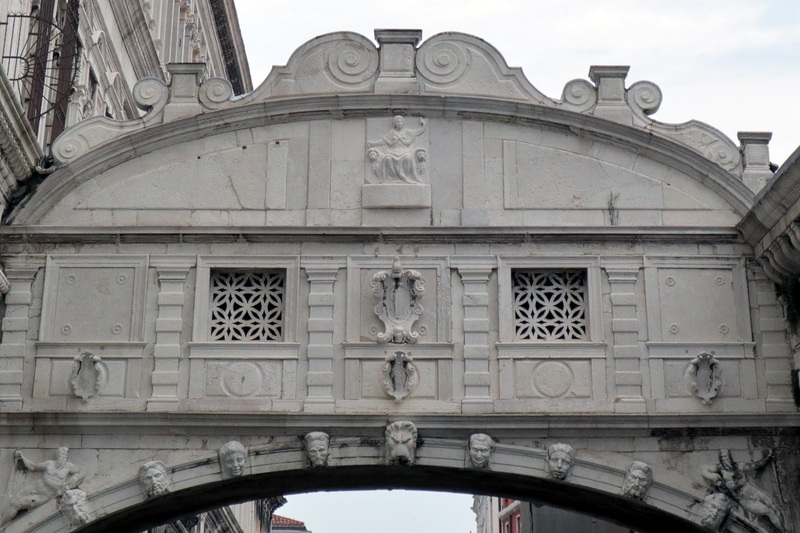 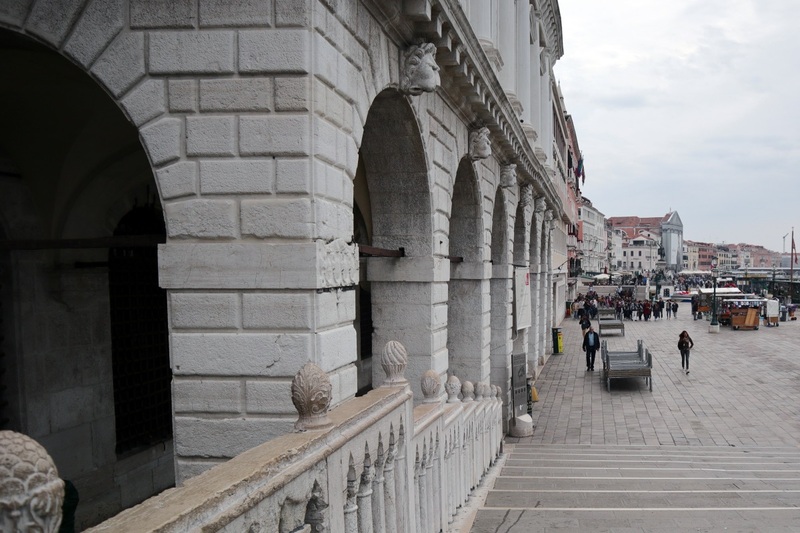 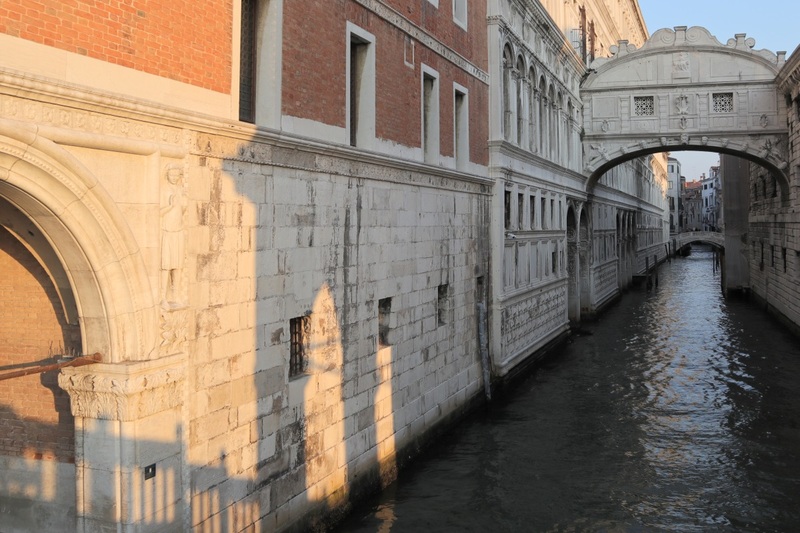 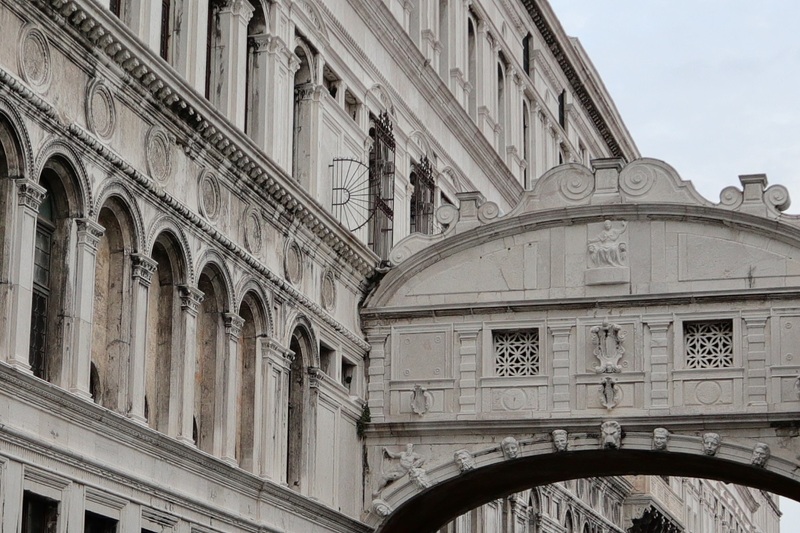 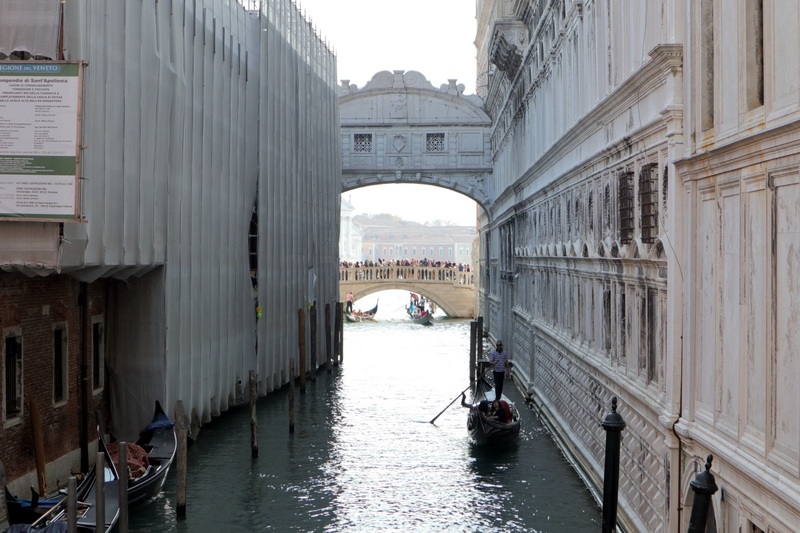 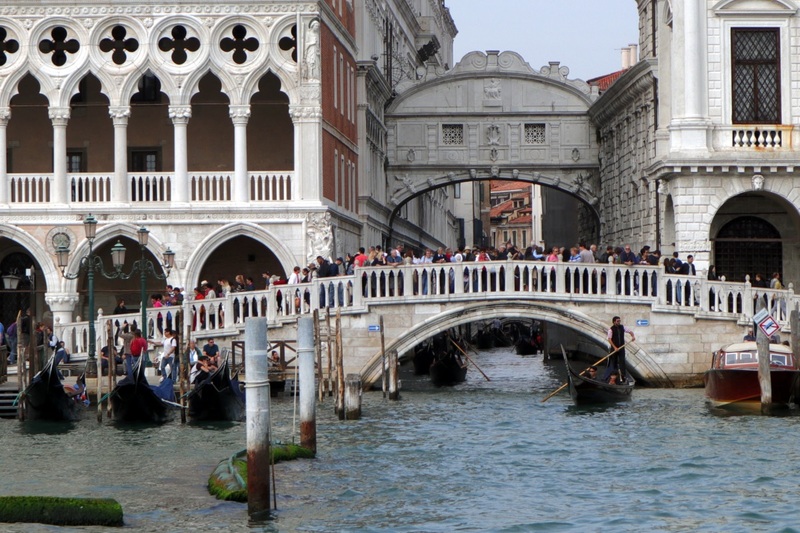 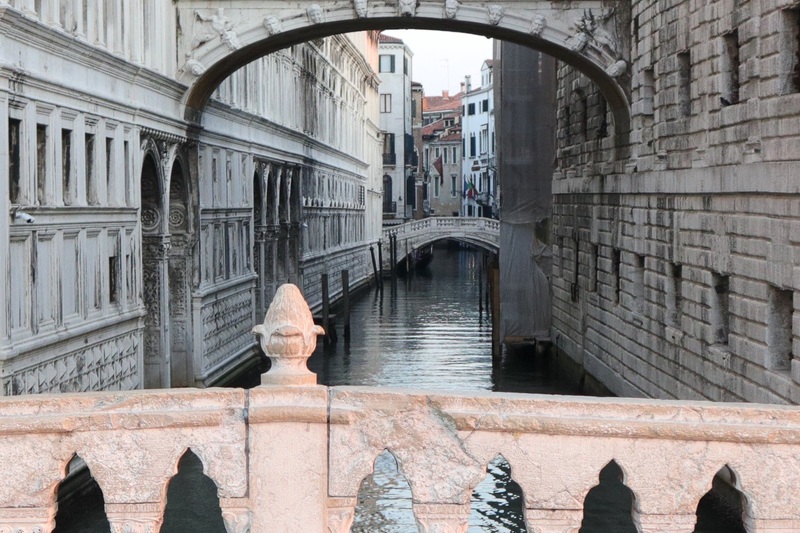 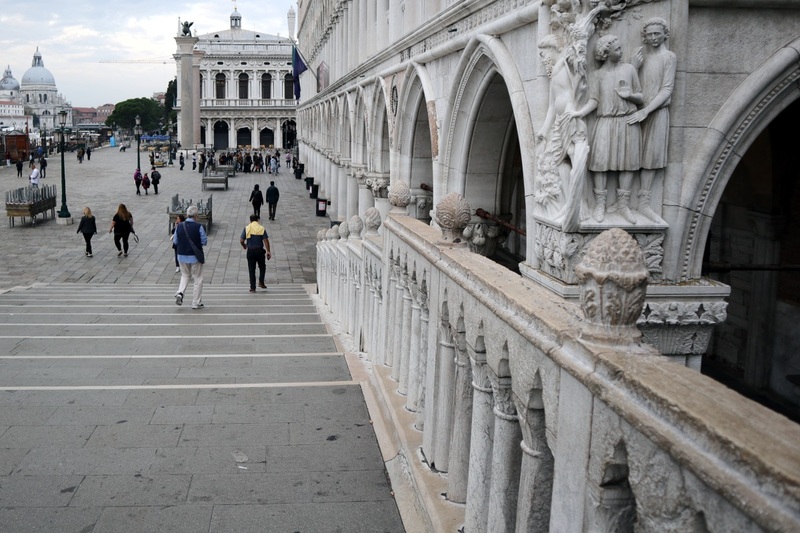 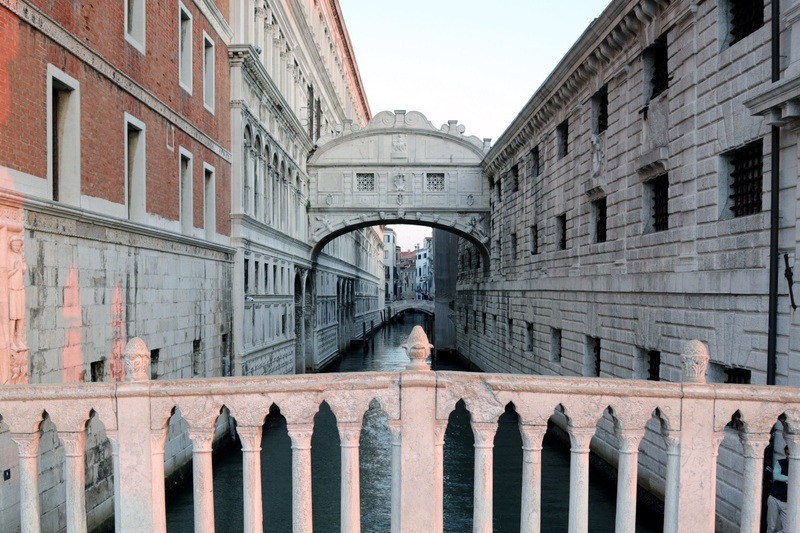 One of the most famous bridges in Venice, in addition to Rialto Bridge, is the Bridge of Sighs right next to Saint Mark's Square. 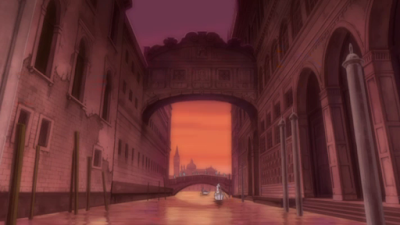 The most common shot of the bridge in Aria. 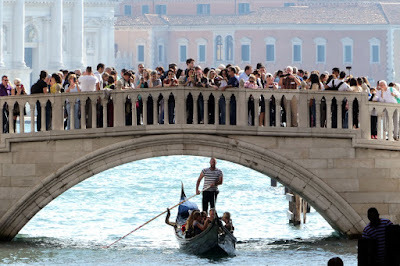 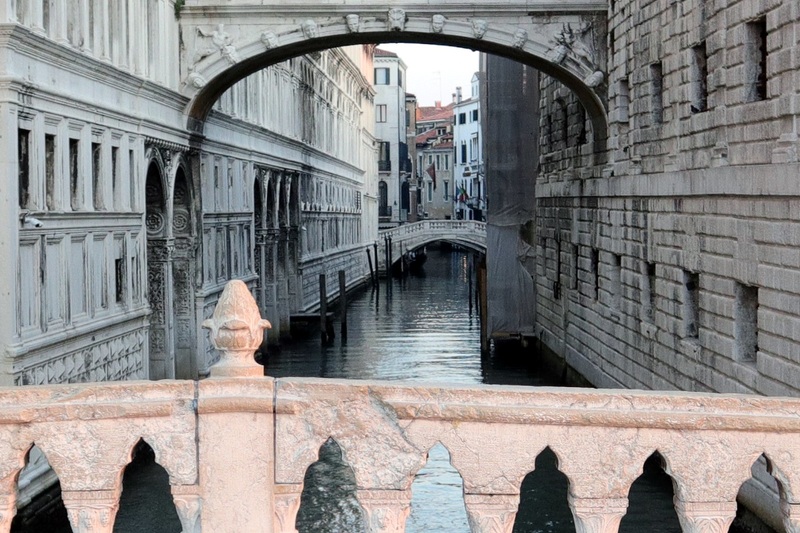 The bridge crosses the Rio de Palazzo o de Canonica canal. 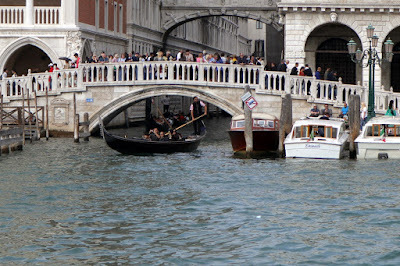 View of the bridge from the other side with some renovations going on to the left. The bridge in front of the Bridge of Sighs here is named Ponte della Paglia. 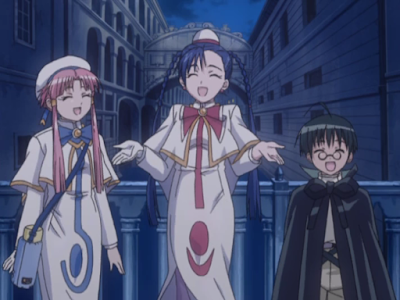 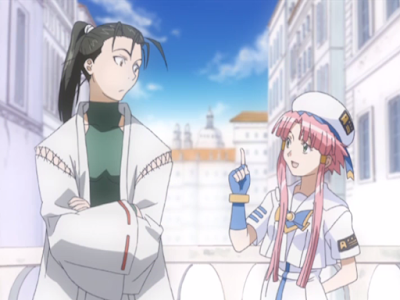 Akari and Akatsuki is standing on the Ponte della Paglia bridge here, but for some reason the Bridge of Sighs can't be seen in the background. 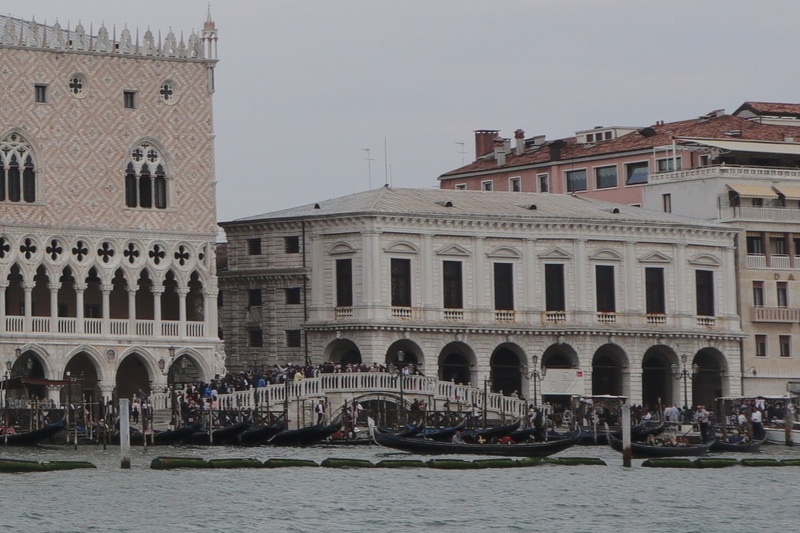 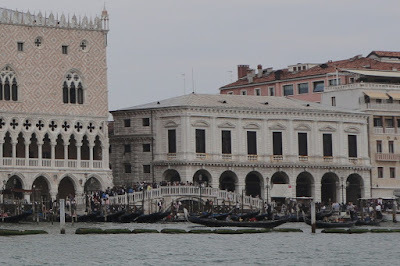 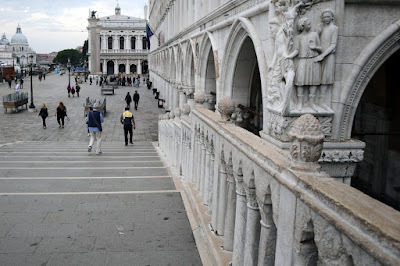 To the west here is the Doge's Palace and Saint Mark's Square. 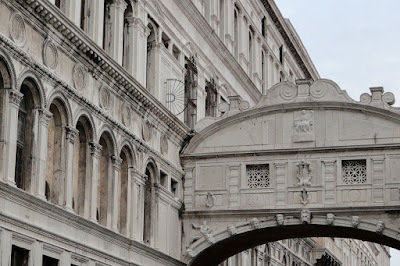 Closeup of the Bridge of Sighs. View of the Ponte della Paglia bridge from Saint Mark's Basin. 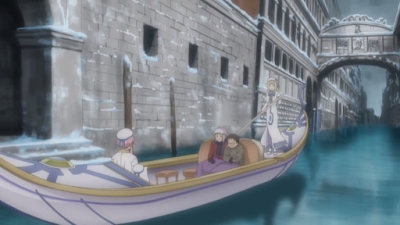 Akari, Aika and Al on the Ponte della Paglia. 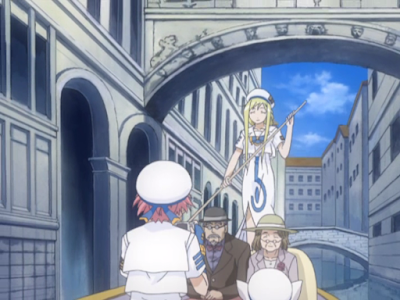 Alicia rowing her gondola under the Bridge of Sighs. 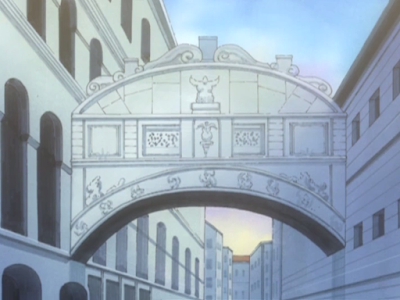 Another closeup of the bridge. And another shot of Alicia rowing her gondola. 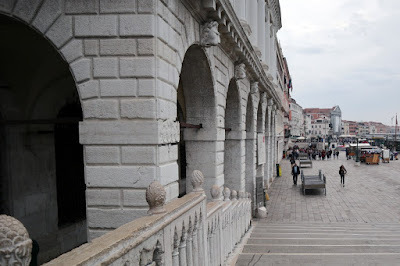 Further beyond the Bridge of Sighs is a bridge called Ponte de la Canonica which you can see in the distance here. 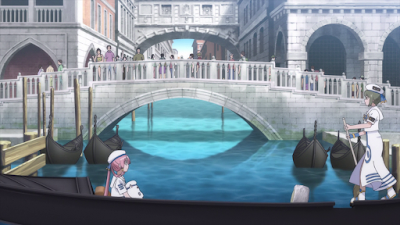 Alice in front of the Ponte della Paglia. 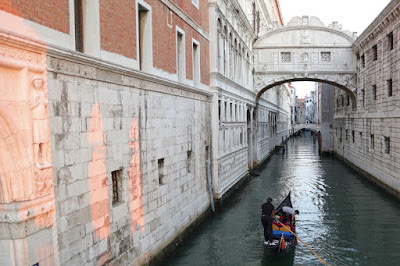 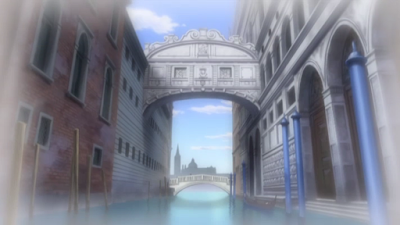 And rowing the gondola under the Bridge of Sighs. 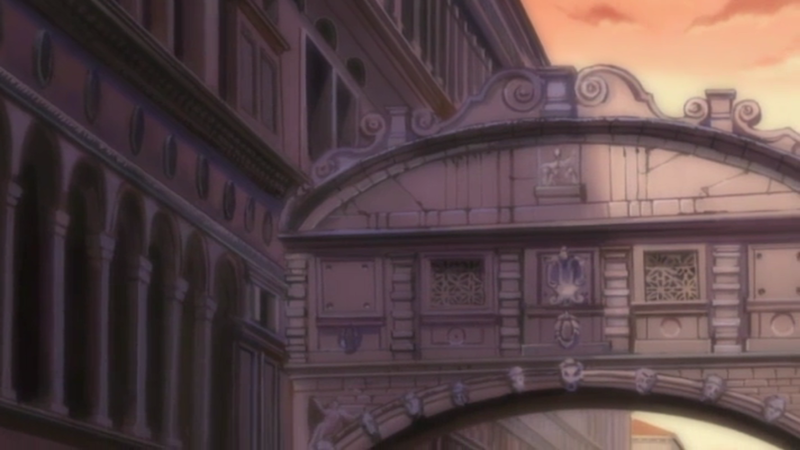 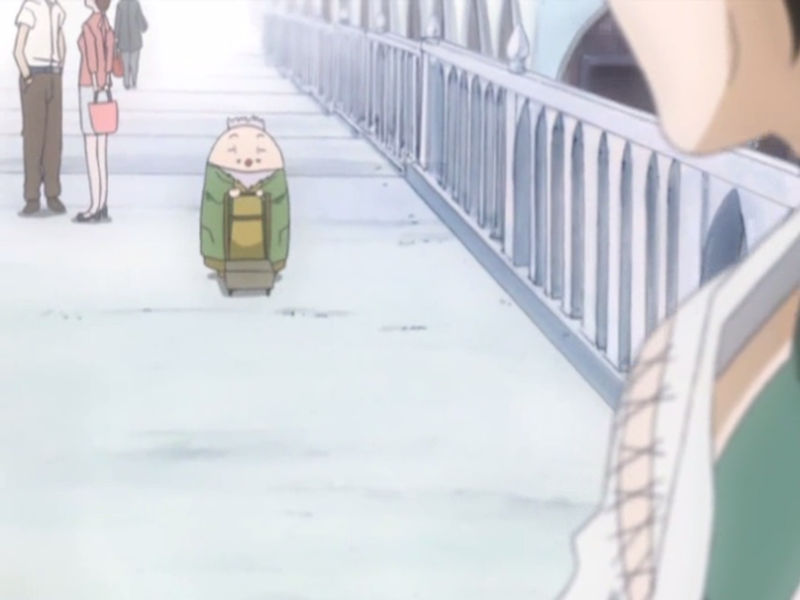 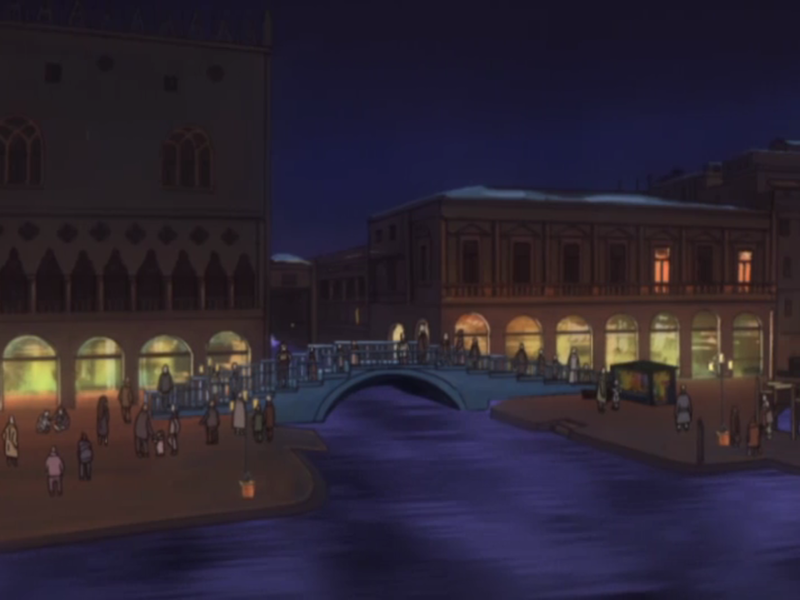 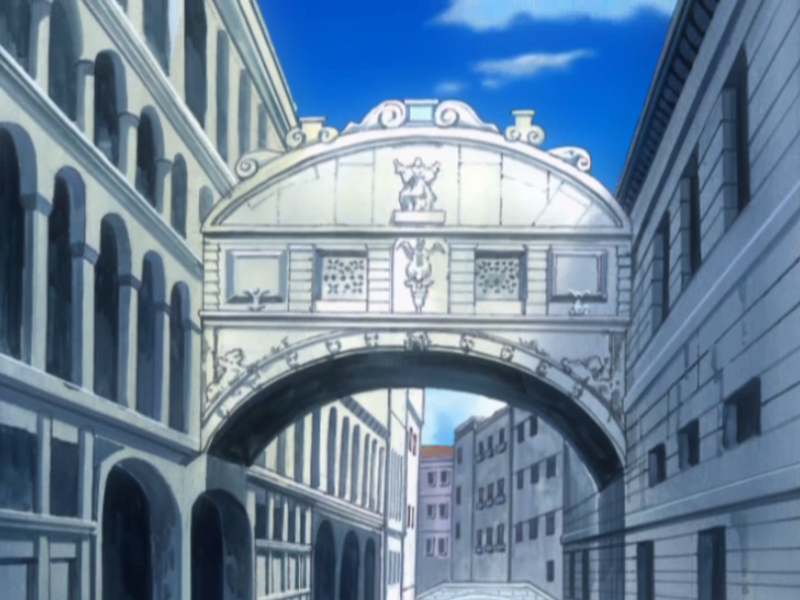 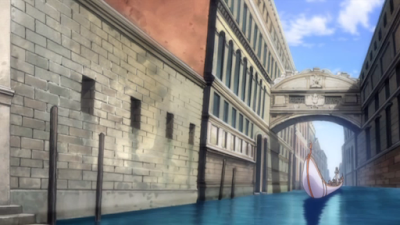 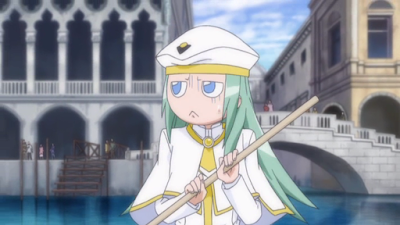 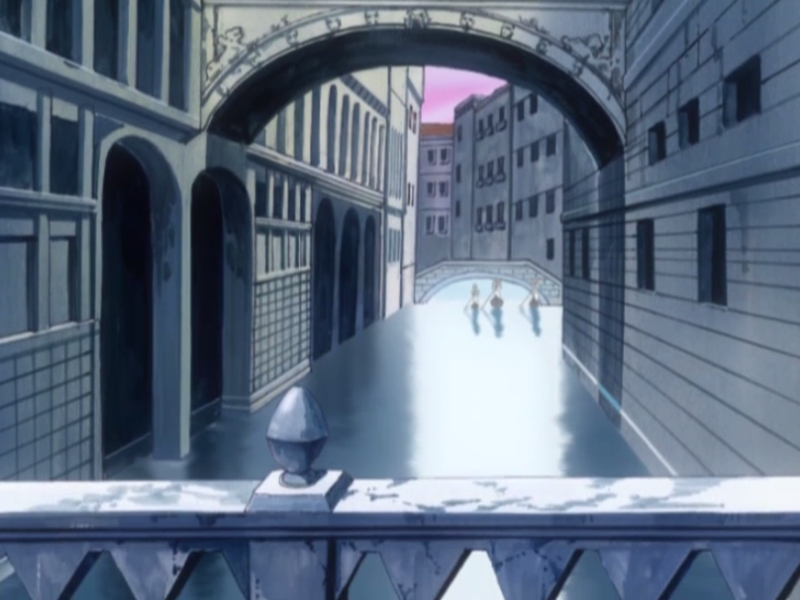 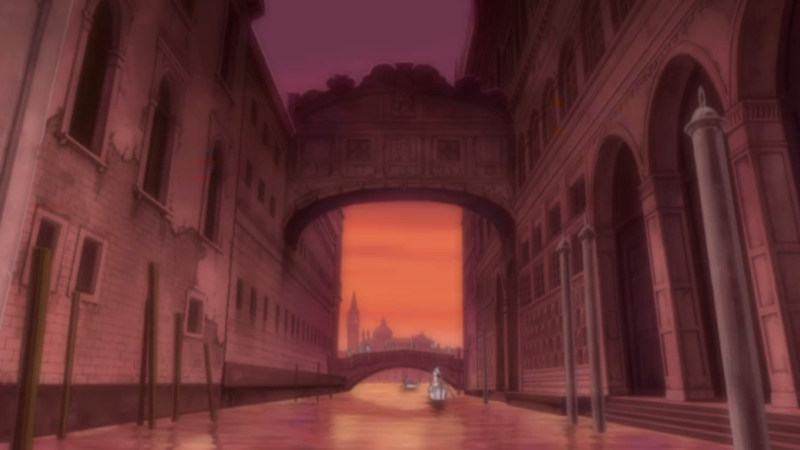 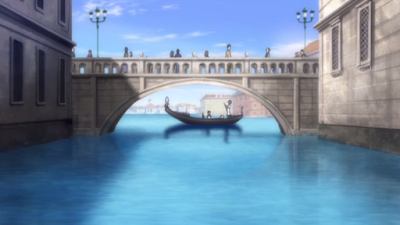 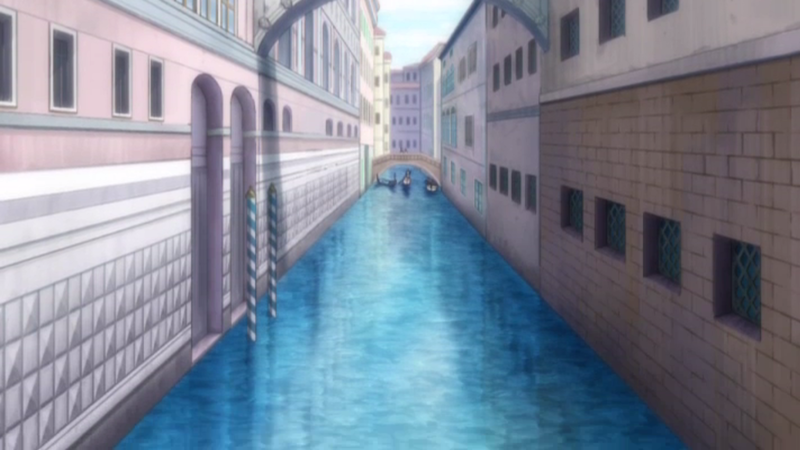 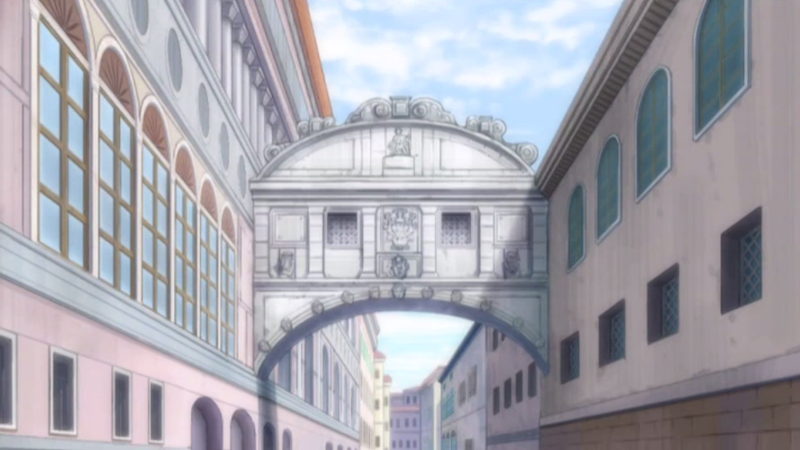 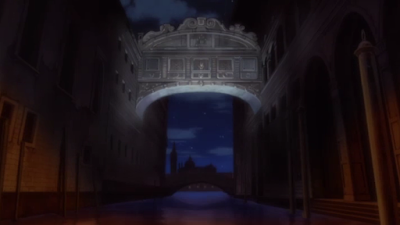 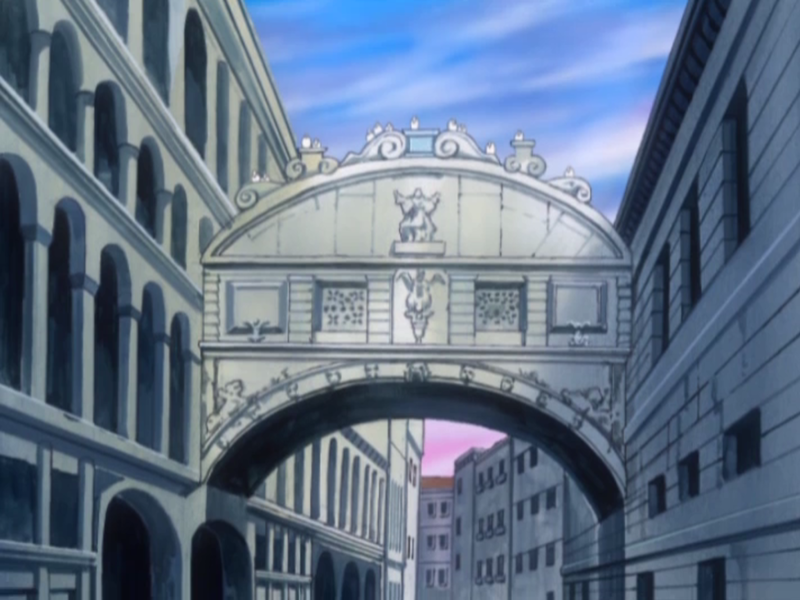 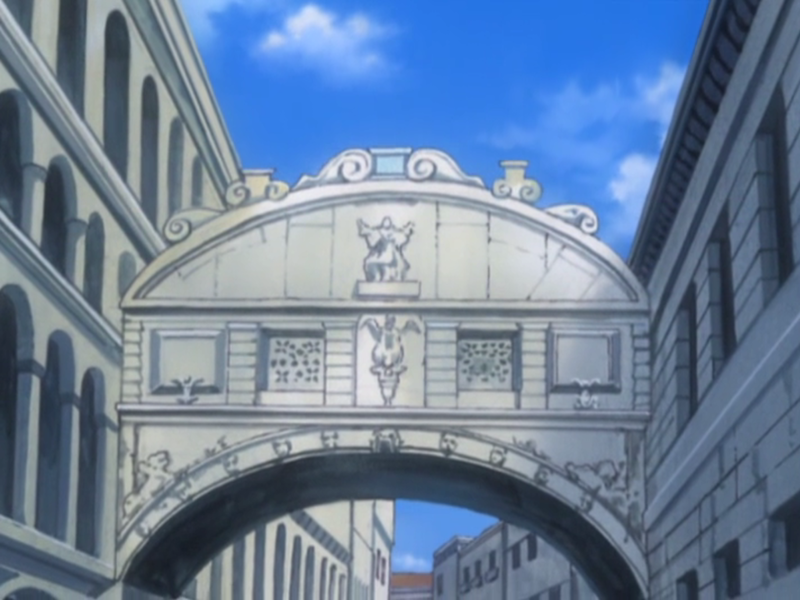 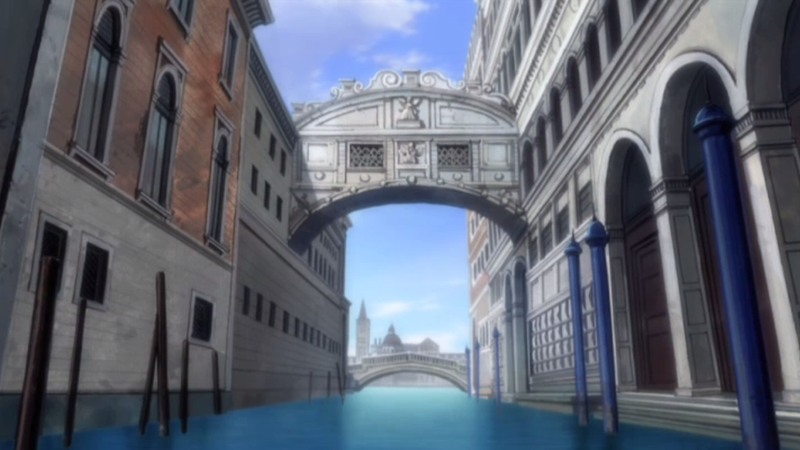 For some reason this shot in the anime shows a different looking bridge than the Ponte della Paglia here. 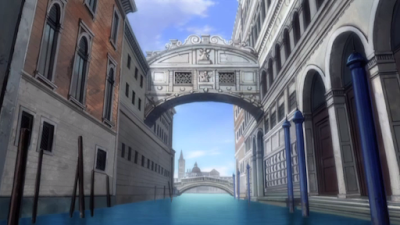 The Ponte della Paglia looks like it should here in Avvenire though. 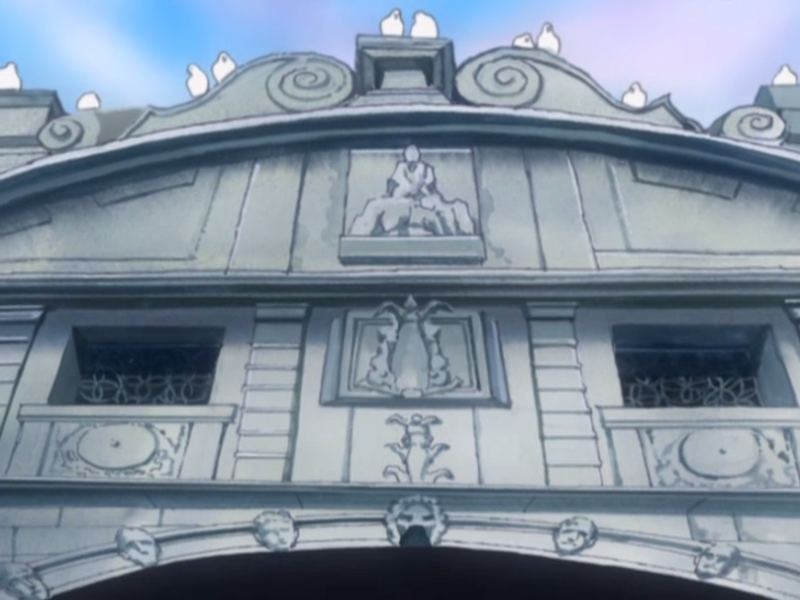 No map since this is a famous tourist attraction. This location was visited on 2018/10/14, 2018/10/15 and 2018/10/16. Seichi junrei and butaitanbou. All anime content are property of their respective owners. 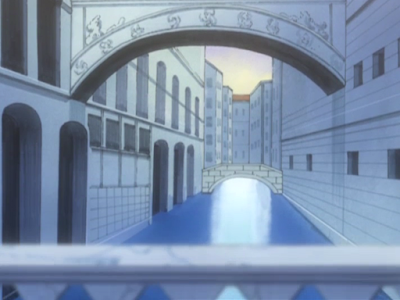 Simple theme. 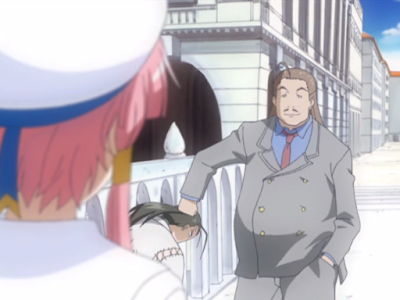 Powered by Blogger.